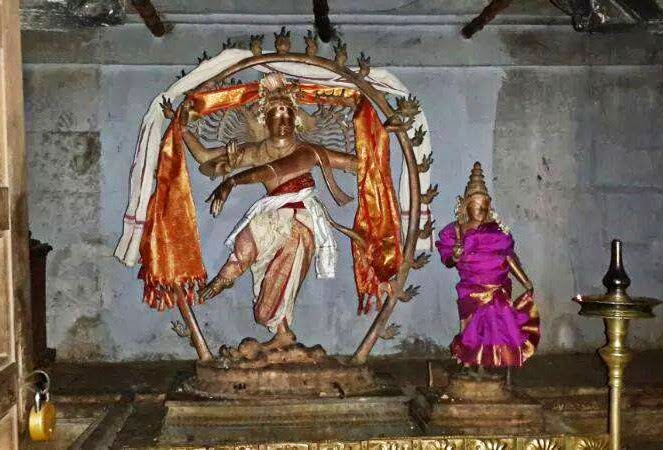 Nataraja is the form of Lord Shiva as the Lord who dances at the time of universal destruction. 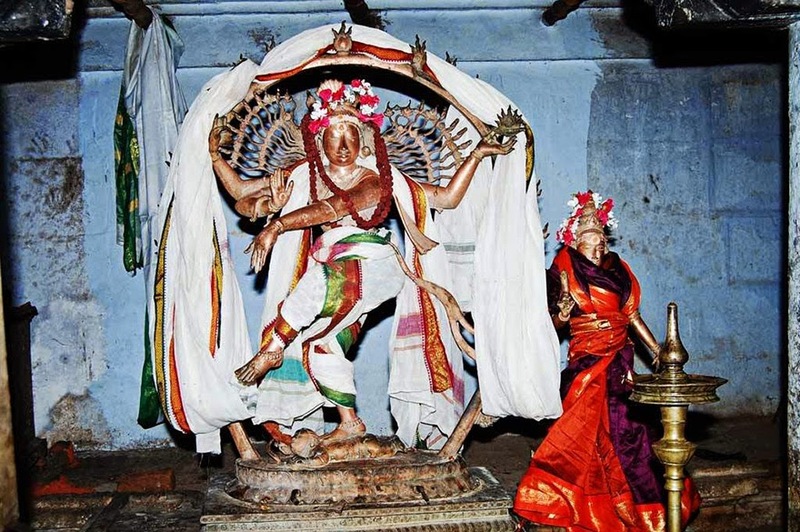 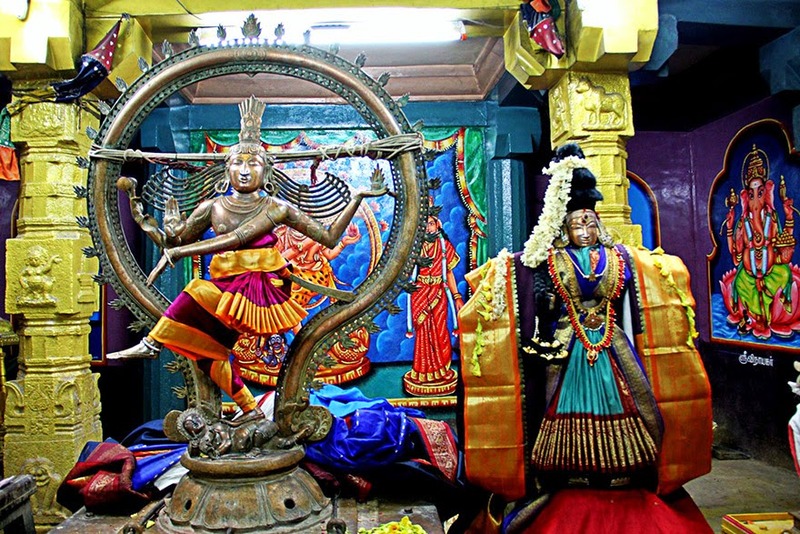 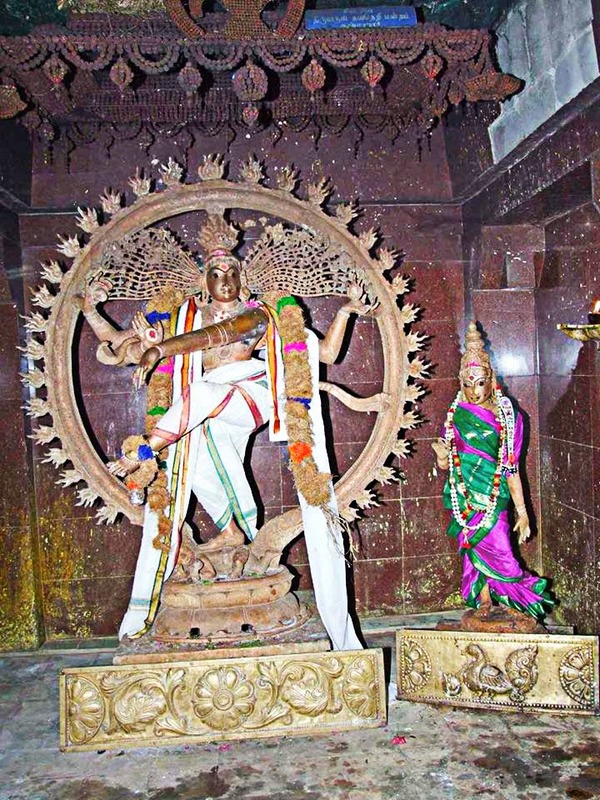 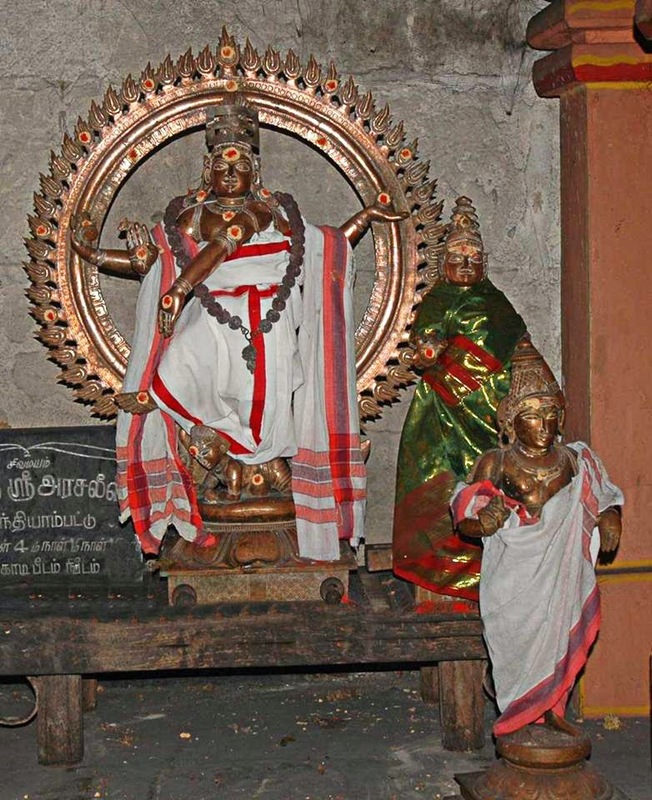 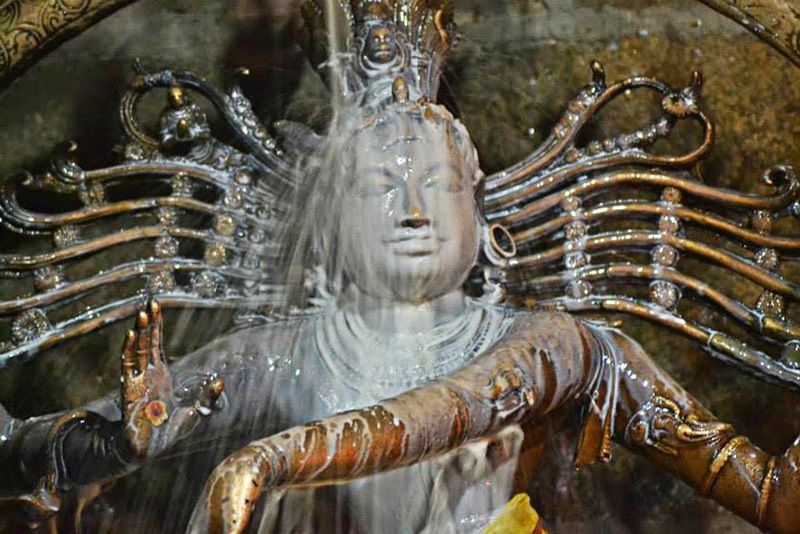 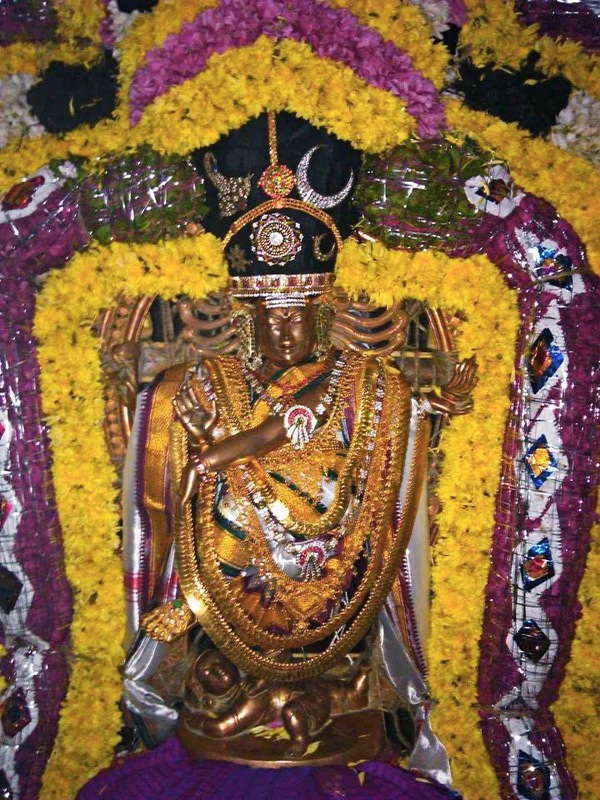 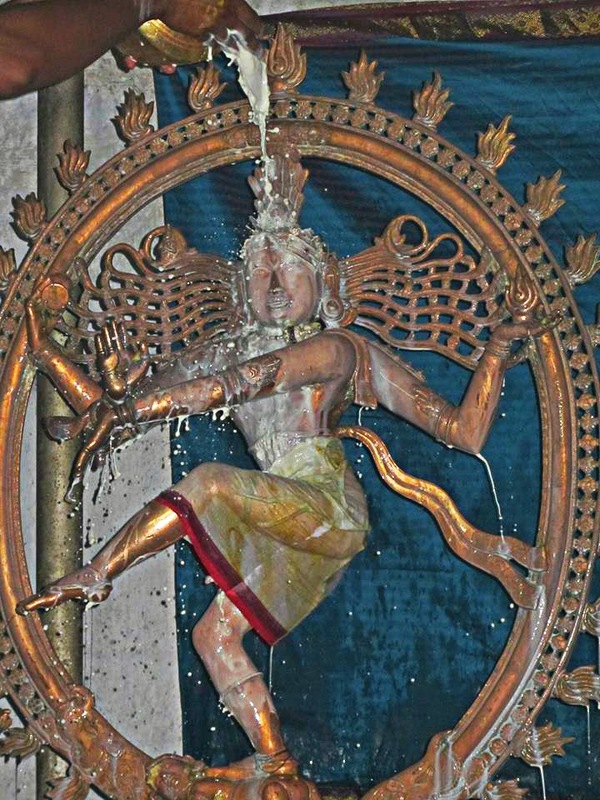 The dance of Shiva in Tillai, the traditional name for Chidambaram, forms the motif for all the depictions of Shiva as Nataraja. 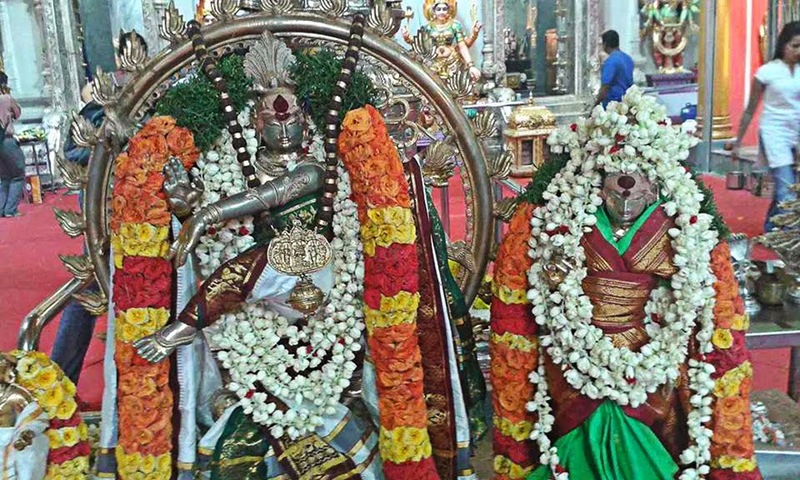 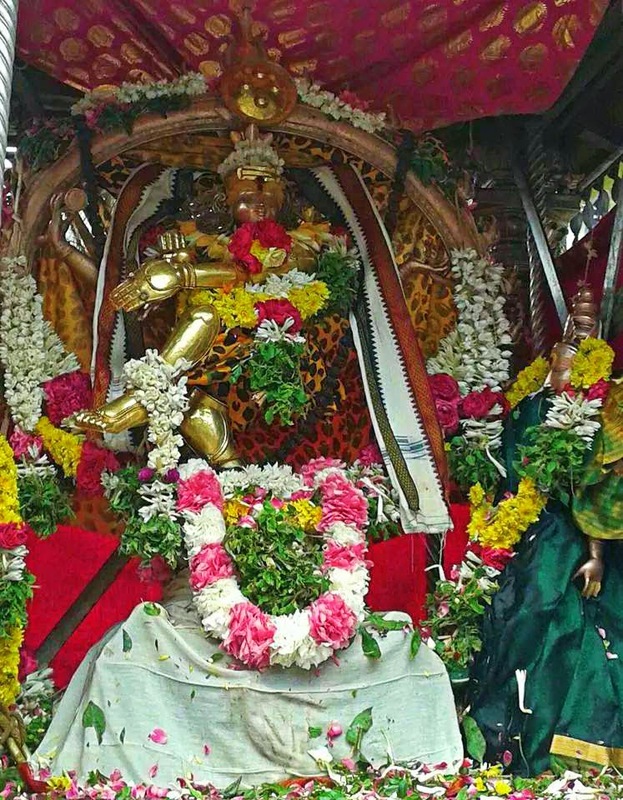 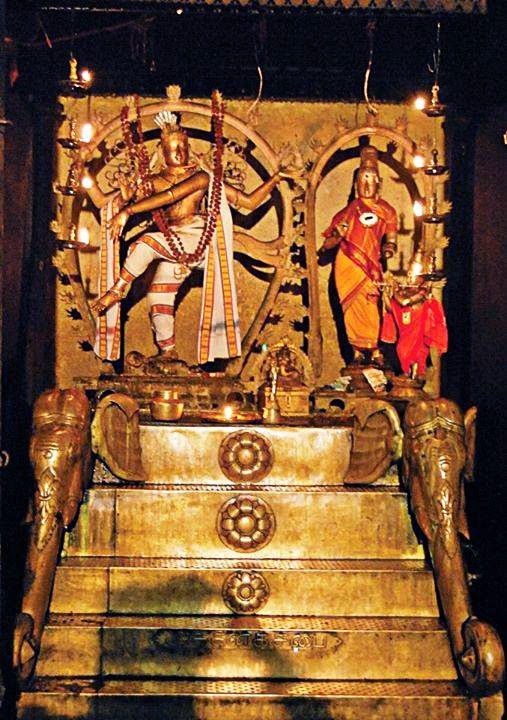 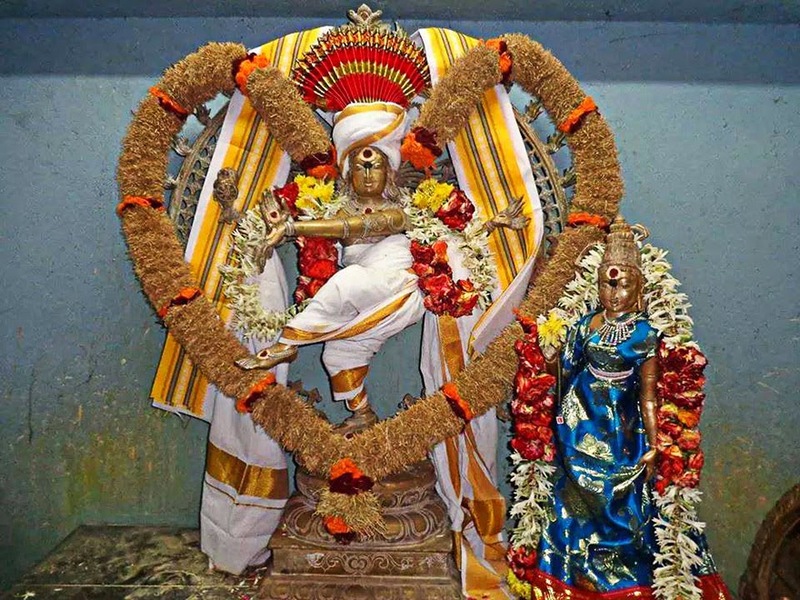 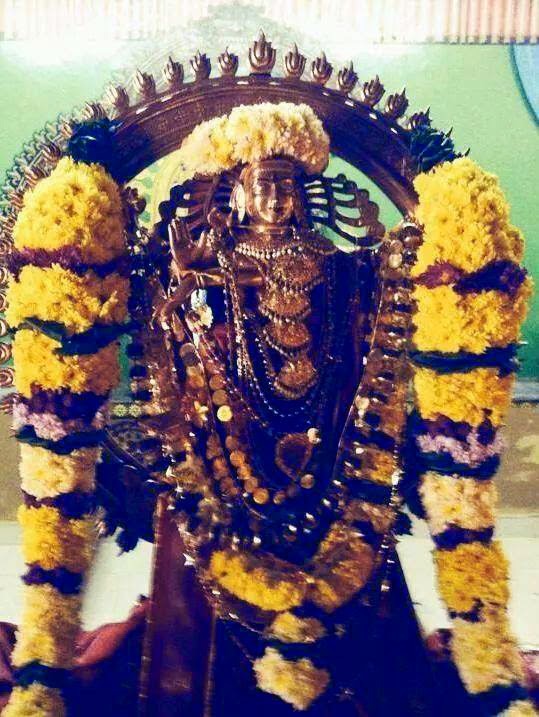 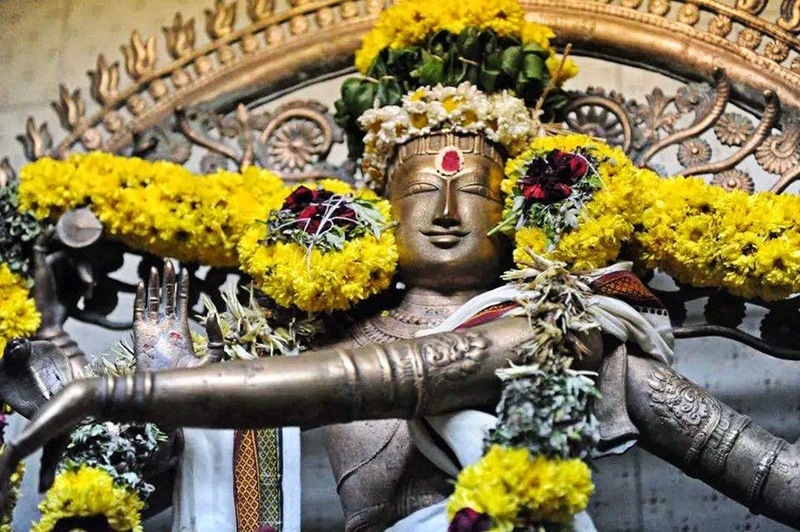 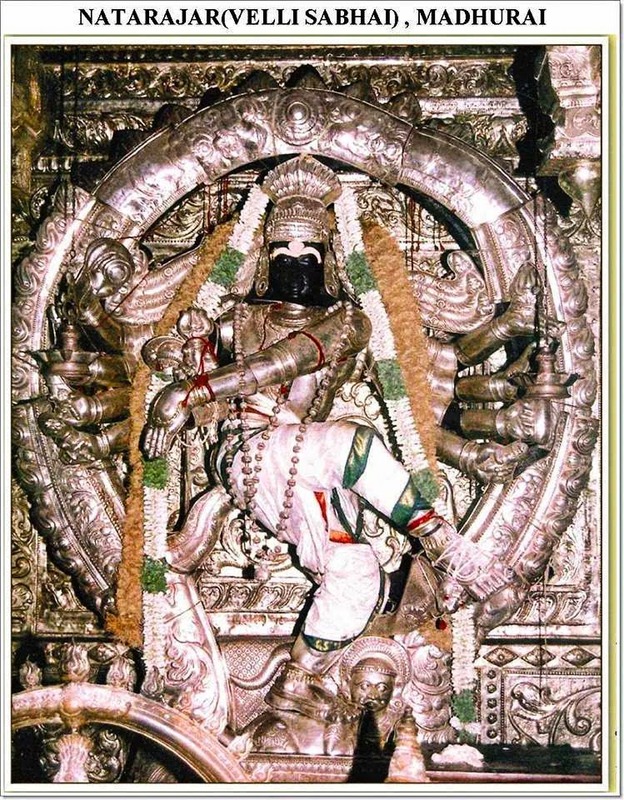 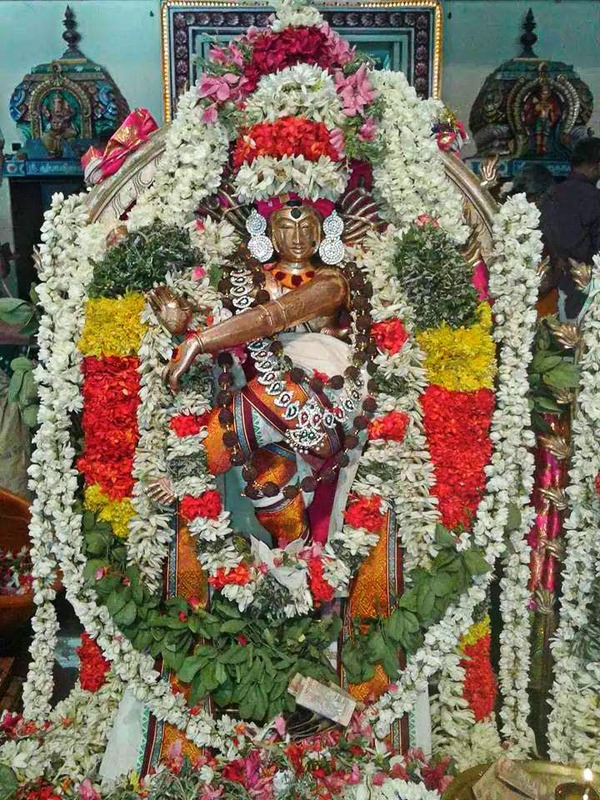 He is also known as "Sabesan" which splits as "Sabayil aadum eesan" in Tamil which means "The Lord who dances on the dais". 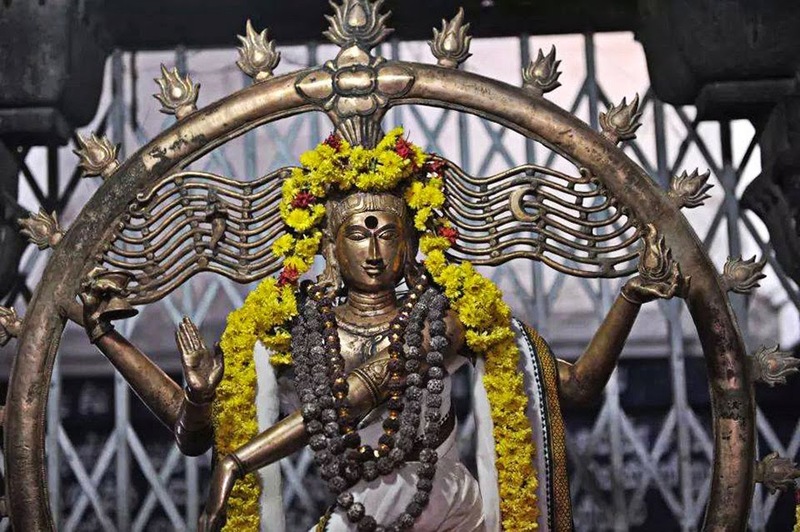 The form is present in most Shiva temples in South India, and is the prime deity in the famous Thillai Nataraja Temple at Chidambaram. 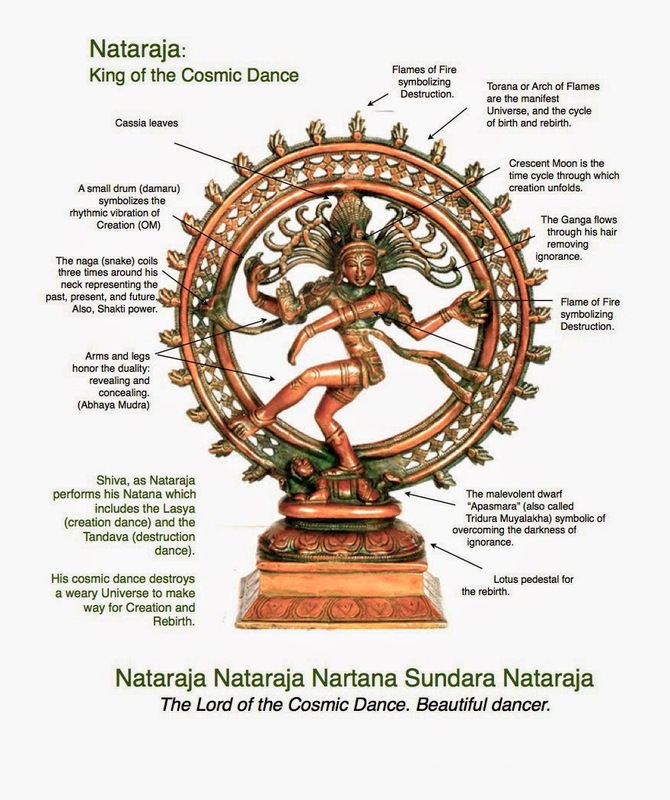 The sculpture is usually made in bronze, with Shiva dancing in an aureole of flames, lifting his left leg (or in rare cases, the right leg) and balancing over a demon or dwarf (Apasmara) who symbolizes ignorance. 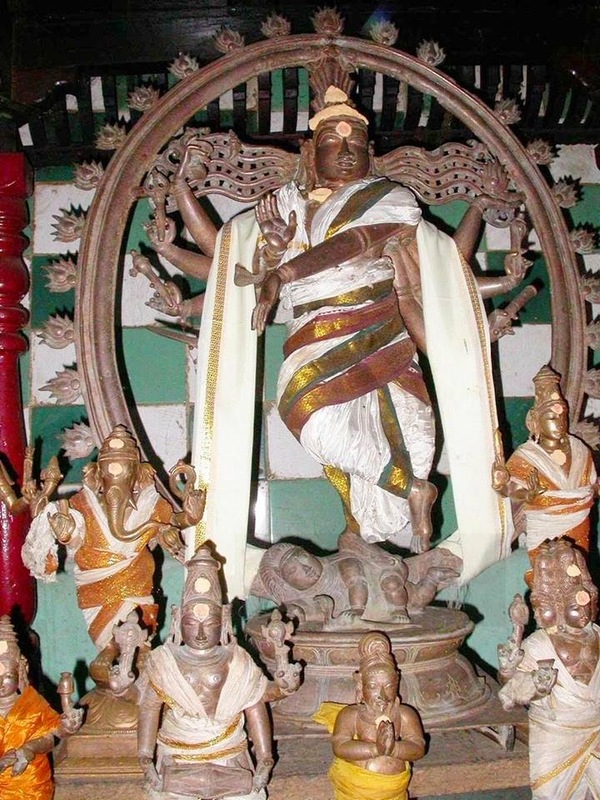 It is a well known sculptural symbol in India and popularly used as a symbol of Indian culture.